Have you got an interest in Marketing Technology? Are you looking for a new engineering position? 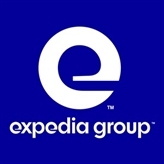 In Expedia there is no team like it; a driven and ambitious culture where fun is as important as hard work. This is an opportunity for a Software Developer who values code quality and enjoys solving meaningful technical problems to make a huge impact on business results. Technologies we currently work with are Spark, AWS, Kotlin, Scala, SQL, and NoSQL databases. You should enjoy learning new technologies, working on complex problems, and thrive in a dynamic and agile environment. In the Marketing Technology Team our software development teams are made up of several developers with varied experience levels so team members learn from each other. Each team tackles challenges and solves problems in their space, and ships solutions to customers as frequently as possible, often multiple times a day. We have marketing projects that span variety of focus areas, right from working with applications powering different marketing channels such as Google Ads, Facebook and Meta, advertising various lines of business (Flights, Hotels, Cars, Packages etc.) along with building infrastructure/platform and services that support those applications lifecycles in cloud and data centre. Use your creativity, first-class engineering skills, and technical knowledge to deliver features and improvements. Work closely with architecture and drive business critical projects. Identify and adopt new technologies, frameworks and standard methodologies. Improve the operational aspects of the platform with updates to our deployment process, test automation, performance tuning and monitoring. Share your interests and passions with our fun-loving, active team. Experience working in AWS and continuous delivery practices. Dedication to writing and maintaining high-quality code. Ability to rapidly acquire and learn new software skills and technologies.